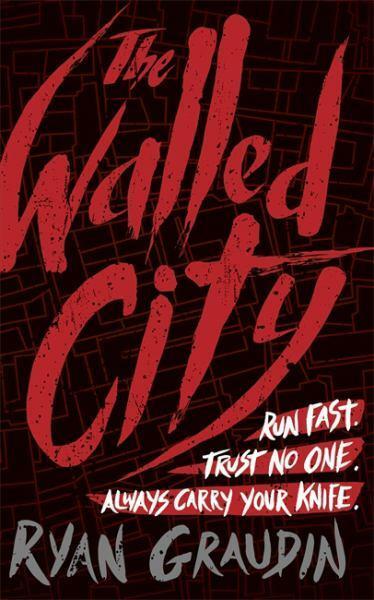 There are three rules of survival in the Walled City: run fast, trust no one and always carry your knife. These rules are always to be remembered. Living on the streets of the Walled City isn’t the safest place to be, but for some it is the only place they can be. Jin Ling is doing everything she can to hide the fact she is a girl, being a girl in the Walled City is a death sentence but she can’t die because she has a job, a task, a mission. She has come her to find her sister. That is all that matters, that and surviving. Dai has his own secrets. He survives by trafficking drugs for the most dangerous man within the Walled City, but to rise in ranks he needs the help of someone who can be invisible, he needs to find a partner. Mei Yee is trapped. She hasn’t come to the city by choice, she was taken here and now is trapped in a brothel doing what she has to to survive. When she can, she dreams of escape no matter how futile that dream seems. Together these three can pull off something that can see all of them move away from their past and have something more for the future, but how do you find trust in a city built on everything but? This is a dark and murky tale. A tale of survival, of doing what you need to, of owning up to the mistakes of your past. These three characters work very well together, balancing each other out. They each have secrets, they each have issues and the only way they can truly survive is to try as part of a team. The city itself is drenched in dark tones that make you grasp at any sign of light. You are desperate for the underdog to win, to just get away. Each character has their own arc, there own journey and to reveal too much would be to detract from the story itself. If you like or are looking for something gritty, intriguing, with characters you can’t help but invest in give this a go.